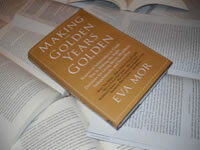 If you are going to read one book on health care and retirement it should be; Making the Golden Years Golden. 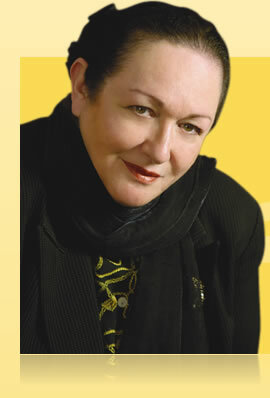 Author Dr. Eva Mor, an expert with three decades of experience in health industry, explains health care, economic and legal isssues and offers solutions in layman terms. 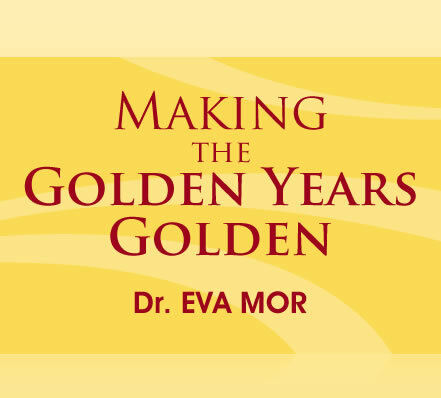 In today's economy, and with the current short comings of the health system Making the Golden Years Golden is a rich source of essential information to anyone planning a head to his or her retirement. Reading this book will help you to establish a step-by-step plan to protect yourself from costly errors and scams, keeping you well. 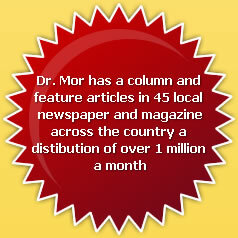 safe, and providing you with knowledge to carefully invest for years ahead. This book also covers the multitude of choices for you or your loved one whe picking the appropriate residential situations - from nursing homes to home health care assisted living facilities. 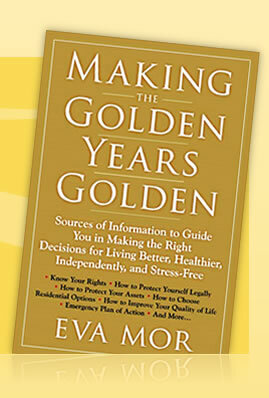 Making the Golden Years Golden provides the reader with guideline to navigate federal and state programs, such as Medicaid and Social Security. It walks you through legal aspects that will touch all our lives in our later years. There are lifelines out there to help you, and this book is intended to be your guide and compass to point you in the right direction. If there is one thing that you should come away with after reading this book, it should be the fact that our society, although very complex and far from perfect, still offers a very rich life for us as we age. By making the right choices. we all can make the "golden years" truly golden.